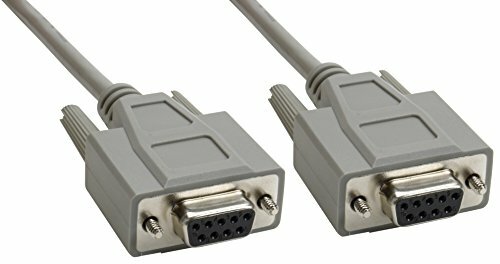 DB9 Female to DB9 Female Null Modem Cables by Amphenol feature crossed wiring for serial data transfer applications not requiring hardware flow control. Our fully assembled null modem cable integrates dual layer copper shielded 26 AWG data-grade wire with pre-terminated DB9 female d-sub connectors. 9-conductor RS232C compliant design is ideal for the most basic DTE-DTE or DCE-DCE null modem applications where only pins 2-3 and 3-2 are crossed. If you have any questions about this product by Amphenol, contact us by completing and submitting the form below. If you are looking for a specif part number, please include it with your message. CAT5e U/UTP Snagless Patch Cords, Yellow - 75 ft.